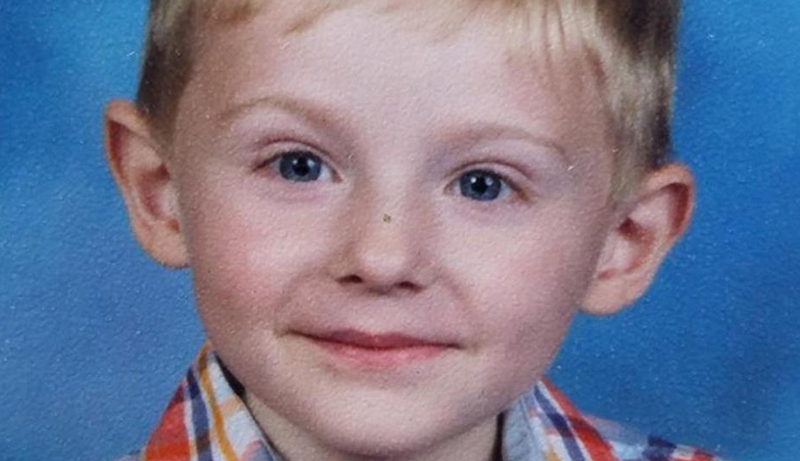 A body has been found in the hunt for a six-year-old boy, Maddox Ritch with autism, who went missing while on a walk in North Carolina. He was found a creek about 1 mile east of Rankin Lake Park. Maddox's parents have been informed, the post, shared on Facebook, added. The medical examiner would formally identify the body. FBI Charlotte tweeted that the investigation was ongoing, while a news conference is due to be held later on Thursday afternoon. 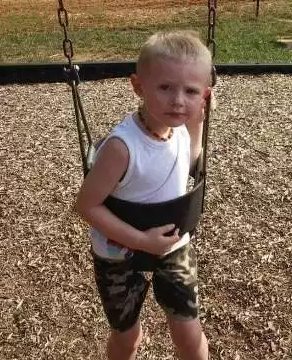 6yr old Gastonia boy Maddox Is missing and because of the criteria required, there is NO Amber Alert. Days after 6-year-old Maddox Ritch went missing during a family walk at a 200-acre park in North Carolina, his mother made a tearful plea for his safe return. He was last seen Saturday at Rankin Lake Park in Gastonia, N.C., near Charlotte, where he apparently took off running and disappeared from sight, his parents later told police. “Maddox is my whole world and my reason for living. He’s mama’s boy,” his mother, Carrie Ritch, said through tears during a news conference Tuesday. Authorities said Maddox’s father, Ian Ritch, was not at the news conference because he was at the park, retracing their steps to help police in the investigation. The local Police of Gastonia and the FBI are actively trying to find the boy who is Autistic and doesn't speak. He was at the park over the weekend when he "got away" from his dad and disappeared on Saturday. Maddox has autism, a bio-neurological development disability that usually appears before the age of 3, and is nonverbal. Experts said it's important to quickly develop a profile of a missing child to determine what techniques should be used to find them and to be creative. The FBI has offered a $10,000 re­ward for information that helps lead authorities to Maddox. Maddox has blond hair, blue eyes and is four feet tall, according to a missing person poster from the FBI. He was last seen wearing an orange T-shirt that read, “I am the man,” the poster said. Maddox was born on 14th August 2012 in America. His nationality is American. He was born to Carrie Ritch and Ian Rich. He is an America Primary School Student from Gastonia, North Caroline, USA. His full named was Maddox Scott Ritch and was nicknamed as Maddy. His birth sign is Leo and his ethnicity is White. Maddox ran away from his dad into the woods and he was unable to catch his son. After searching for a long time, his father, Ian Ritch called 911 for help. Maddox has got a soft body with blond hair, blue eyes and he was of four feet tall. His weight was 20 Kg. His shoe size was 4. Maddox was not married yet. He was still single. His favorite celebrities are Tom and Jerry and Mickey Mouse. He loves to play with toys and he loves chocolate mostly. The net worth of Maddox is not revealed yet and will be updated soon. Stay tuned with us for the details wiki of Maddox. A body has been found in the hunt for a six-year-old boy with autism, who went missing while on a walk in North Carolina.